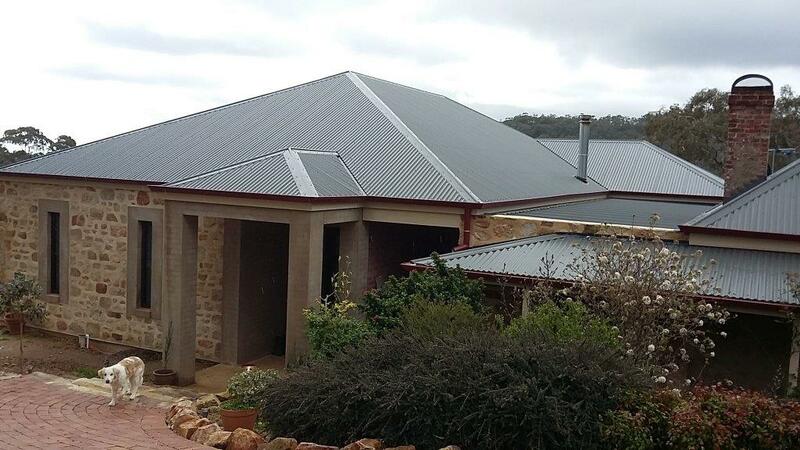 Searching for a Local Adelaide Architect? 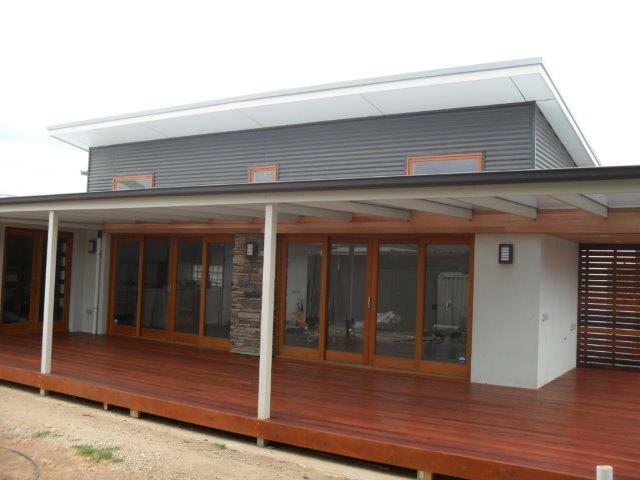 My business "Grant Lucas Architect" is based in the Adelaide Metro Area. 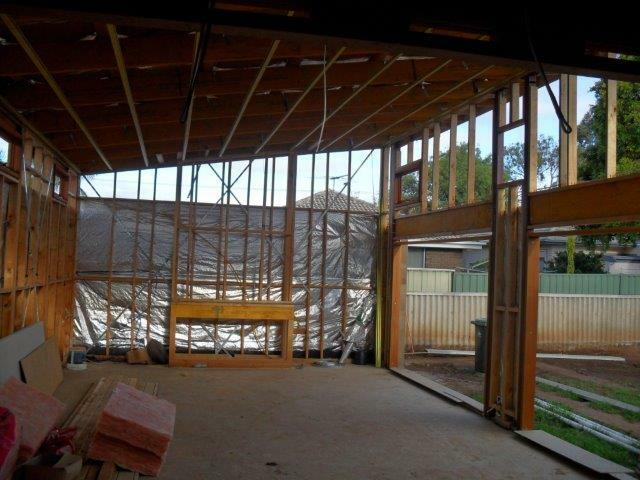 I undertake any sort of Architectural work from Pergolas to Shopping centres, but my bread and butter is house Extensions and New homes in Adelaide and the Adelaide Hills and Southern regions. I studied Landscape design in my first degree & as I have a passion for gardening and particularly like Architectural spaces that blur the boundaries of inside and outside. 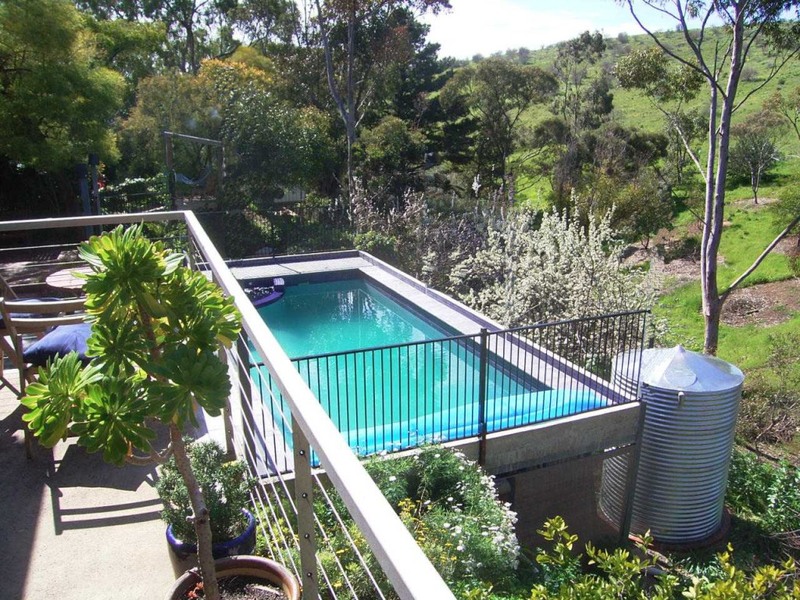 Pools, Pool enclosures, Alfresco rooms are a speciality. This (my original) website was constructed 10 years ago, so if you just want to look at pictures of some of my recent work then my mobile friendly portfolio of recent Residential Projects is worth looking at. If you do not know exactly what an Architect does, what Planning and Building Approval consists of, what a set of documents look like and how much Architects charge, or what the approximate costs of designing and building using an Architect are then you should spend some time looking through my site. Alternately just give me a call & I can talk you through the process. 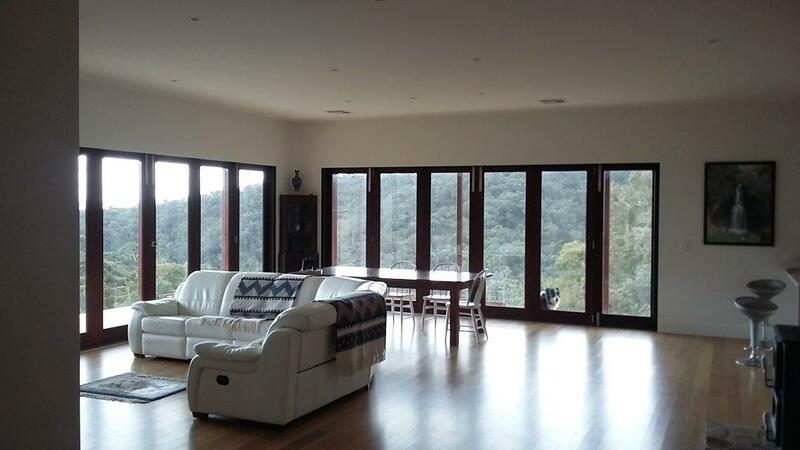 Living Room Viewed From Entry: Custom Jarrah Bifolds' take advantage of the view. New Rural House (Kuipto): Building phase almost complete. 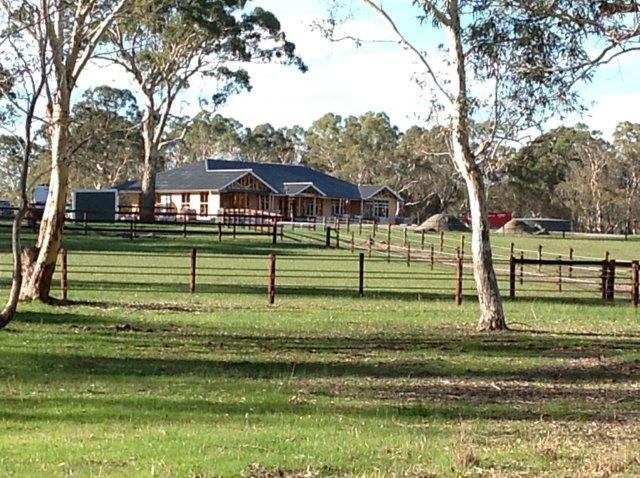 The initial investment home (as shown) was built by the project builder and then a new dream home commenced as a second stage. New modified project home for subdivision & resale: Construction started March 2014 & Finished 2016. Note the "As Built" residence involved slight modifications made by both Client and Builder... mainly for for cost reasons. Image of Revised scheme submitted for re-approval 2017 & Currently under Construction 2018. 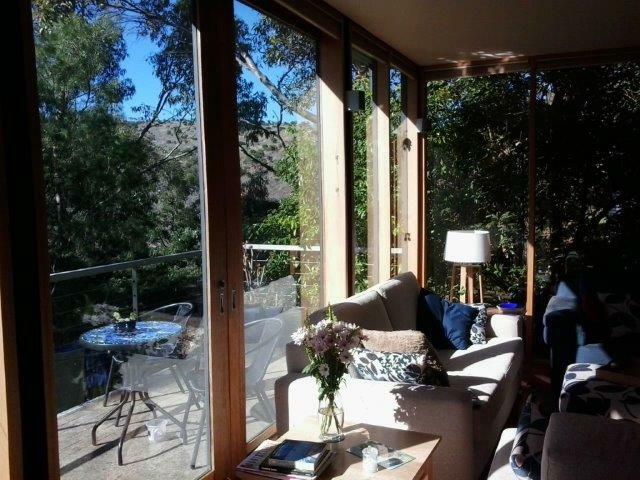 The main change involved "sculpting out" an additional balcony accessible from the Northern sun-room. Showing the rear view from the side street. The 2 street frontage allows the house to be a 3d object rather than just a facade. Council were concerned about streetscape issues of Context and Height. Although contemporary internally, the exterior character belies this. A pool was included in the design as a stage 2 rather than in the original submission to speed up approval. Showing the view from the street corner. The 2 street frontage allows the house to be a 3d object rather than just a facade. 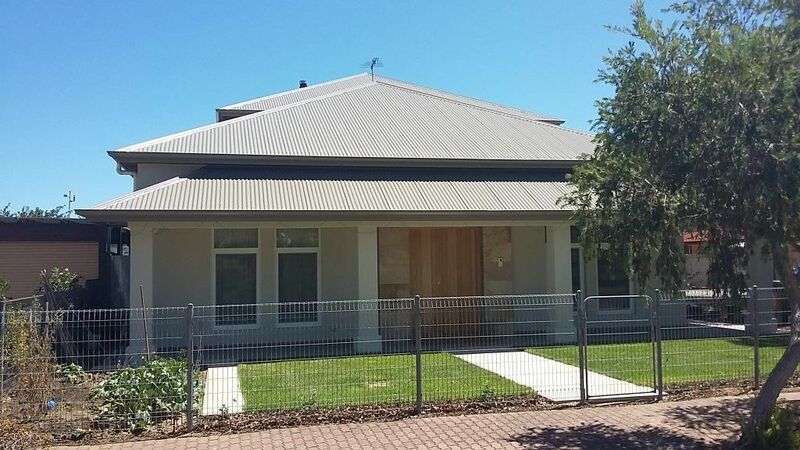 New "Owner Builder" Contemporary 2 storey house (with heritage context) at Glenelg: Main frontage photo of completed project. 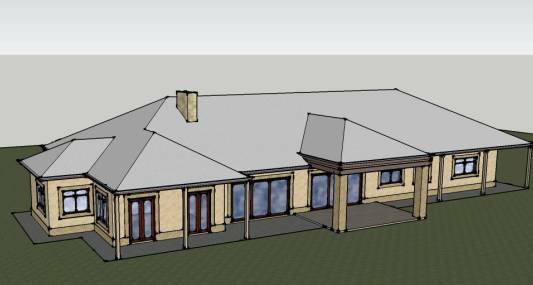 The Client has changed the front door detail from the original design but otherwise the original sketch and final build are consistent. Note how a simple change of the colour scheme has made the project look more like a turn of last century build. Construction was a 2 year process. 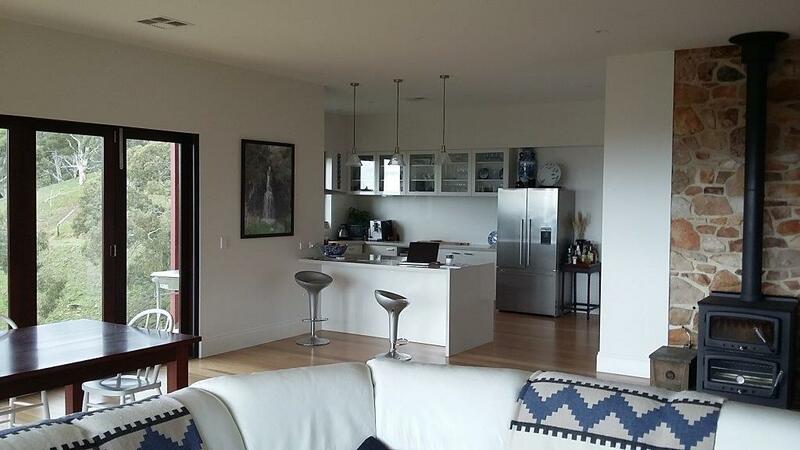 The build was substantially finished in early 2018. To be good at Architecture you need to know how things work.....you need to be able to see the overview as well as the small detail. Essentials are good construction knowledge mixed with a little creative flair and the ability to communicate your ideas concisely. Experience and a body of previous work is important. If you are thinking of engaging an Architect, talk to their previous customers and clients and look at their current work. Sole Practitioners typically have low overheads (no employee costs). A small home office helps reduces costs even more. Advertising however can be more expensive as there is no-one else to share it with. As my business model is about providing good value for money services at good rates I need to do my own marketing to keep costs down. The money I save in marketing costs allows me to offer competitive hourly rates. This in turn allows for more Design time & more thorough documentation for the same fee. These days to run a business successfully it isn't enough to be good at what you do. High placement in search engine searches and more specifically in Google Searches is imperative. 80% of people don't bother to look past the first page of Google when searching. Marketing as Adelaide Architects helps me achieve this. 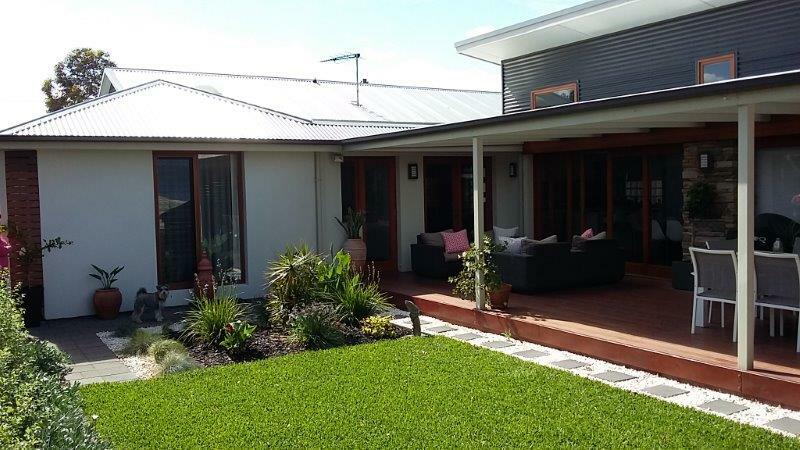 I registered the business name "Adelaide Architects" here in South Australia years ago to even the playing field between my business and those businesses that pay money for search engine Ranking. "Adelaide Architects" is an exact match Domain name business I run to increase the public visibility and Googleability (is that a word?) of my business "Grant Lucas Architect". The business "Adelaide Architects" is myself and a few sole practitioner friends (Architects hang out with Architects) marketing here in Adelaide through the internet domain name adelaidearchitects.net.au. To find new clients one has to be visible on Google. This was Business reality in 2014 (when I put this page together) and is especially so now in 2018. Paying heaps of money to an SEO firm to get high placement in Google and paying for expensive advertising is not conducive to keeping business costs down. The tricky thing about Google is that it is a business. It makes money from advertising, which means there is a compromise when it comes to highly searched terms. My business "Grant Lucas Architect" ranks top locally on Google for around 100 search terms.... I get this by good web content and a transparent business model. The problem is that the most obvious phrase used searching for an Architect in Adelaide is "Adelaide Architect" (or Architect Adelaide). Obviously this means there is a lot of competition for this phrase. It is hard to undercut the competition if you are paying up to $500 a month (I was actually quoted this price by a SEO firm) for the privilege of being on Google's front page for just one search term. Even then one keystroke difference on a search query may be the difference of being found or not. Google actually distinguishes between "Adelaide Architect" & "Architect Adelaide" as well as plural versions "Adelaide Architects" and "Architects Adelaide". 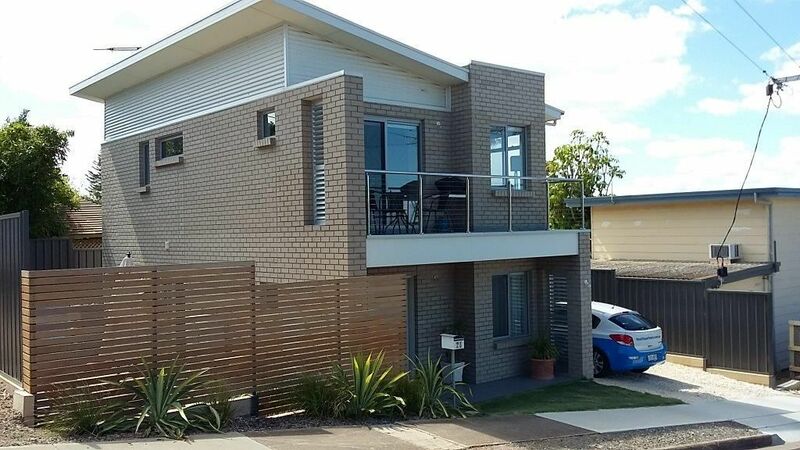 If you search any of the popular terms containing the words "Architect" and "Adelaide" you will get results that are mainly the result of Architectural firms advertising budget size. To keep on the top page for top Google search phrases like these you can either provide good content or pay for results. If you pay for Adwords (Googles own advertising) you pay for each time someone clicks on the Advertised link. This can easily be more than $2 a click. You can also pay for SEO. SEO breaks down into 2 main categories. The honest way, through content titles, metadata keywords and quality links, or pay for "Black Hat" SEO (analogy of the bad wizard) which is about getting high placement through trickery such as Re-directs (ever typed in something to google & gotten a completely unrelated result), invisible text (white text on a white background), tiny text too small to see, buying links, or siphoning link juice from other sites. I've taken the middle road. I spent a little time to find how Google worked (my blog covers this if you are interested) & then I played by their rules doing my own SEO (Search Engine Optimisation). I may not be top, but I am still able to be found somewhere between page 1 and page 5.... & I'm not paying a fortune to be there.